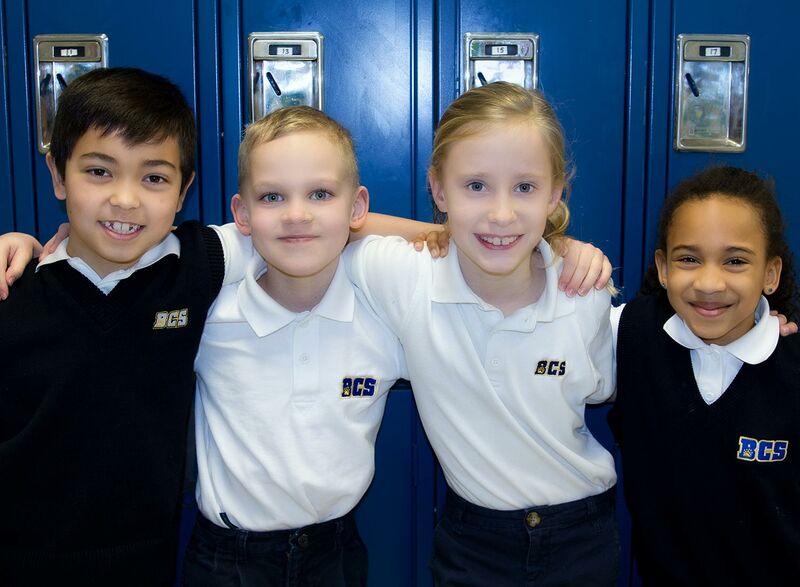 At BCS, we believe that the wearing of a uniform is a fitting extension of our mission to join with the family. A uniform helps create a learning environment with fewer distractions and greater equality while fostering a sense of belonging among students. The uniform also allows the community at large to recognize our students as a group of young people who share common educational and spiritual goals. It is our desire that the BCS uniform should contribute to a sense of pride in the school. By mail or fax (1-855-344-5350). Please use the order form available at the front office. By email at info@topmarks.ca — listing the styles, size, colour, quantity and the school you are ordering for. Do not forget to include your contact information and credit card with expiration date. If you are looking to find gently used uniform pieces, visit the BCS Uniform Swap and Buy Facebook page. Periodically, BCS will hold “Used Uniform” sales; check the school calendar for our sale dates.